There’s nothing like biting into a fresh homemade potato chip. 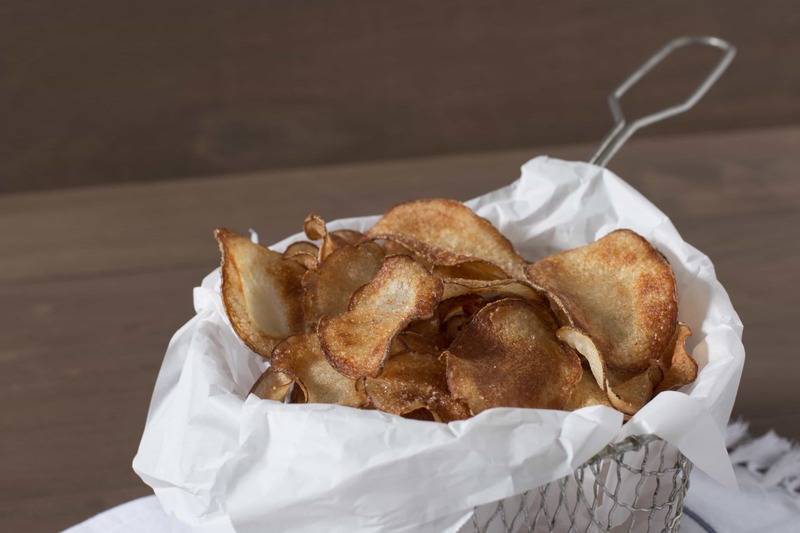 The crunch and crackle of each crisp chip completely fills your head like the best foodie white noise you could ever dream of. Or as my husband calls them “spicy crunchy yumminess”… yup that pretty much sums it up. 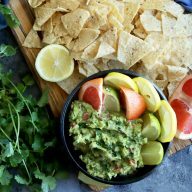 I am definitely the grazer in the family – I am always taking a little bite of something, then noshing on something else, and I will keep moving on to new little snacks as long as I possibly can. It’s so hard for me to narrow down exactly what I want in one meal (except when it comes to Chipotle… naturally). This is exactly why I love having homemade chips around the house. 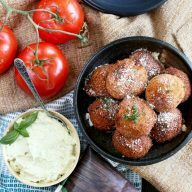 They are spicy and salty and surprisingly light – everything my grazer-nature craves in a little snacky-snack. 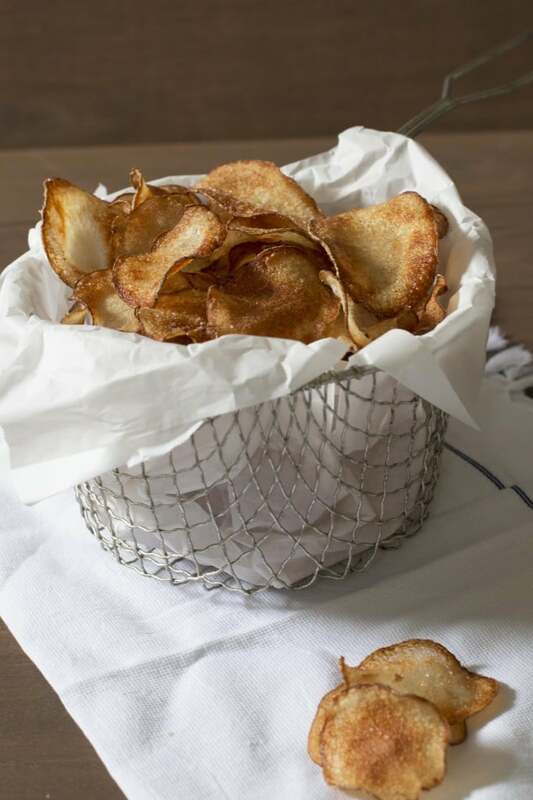 I even brined these chips before frying them, making them even more indulgent and delicious! More importantly, the fact that they are homemade makes them infinitely better than any store-bought chip out there. I get an extra boost of comfort from that for some reason. I know that sounds a little nutty, but when I look at where I was about a year and a half ago – a newlywed who would barely cook at all – to where I am now… I mean, I am making homemade potato chips and actually enjoying it for gosh sakes. Brining these chips before frying will make these potato chips your family's new must-have snack! In a large bowl, whisk together the sherry vinegar, kosher salt and sugar. Add the sliced potatoes and refrigerate for at least 20-24 hours. In a small bowl, combine salt and cayenne. Set aside. 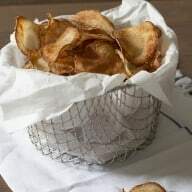 In a large, heavy-bottomed pot, add the frying oil and heat over medium-high heat until it reaches 350 degrees F. Remove the sliced potatoes from the brining liquid and pat dry with paper towels. Fry the sliced potatoes in batches until golden brown and crisp. Remove from oil to a rimmed baking sheet lined with paper towels. Sprinkle with the flavored salt as soon as they are removed to the baking sheet. Let the chips cool and serve. You can also store the chips in an airtight container for about 1-2 weeks. Now you’ve done it! I printed this recipe out before breakfast, it looked so good!!! 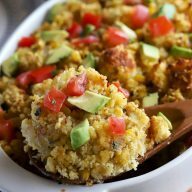 Thanks for giving me a recipe for my absolute favorite food on the planet :)!!! Thanks Jennifer! I swear, brining the chips makes them SO good! Lovely!! 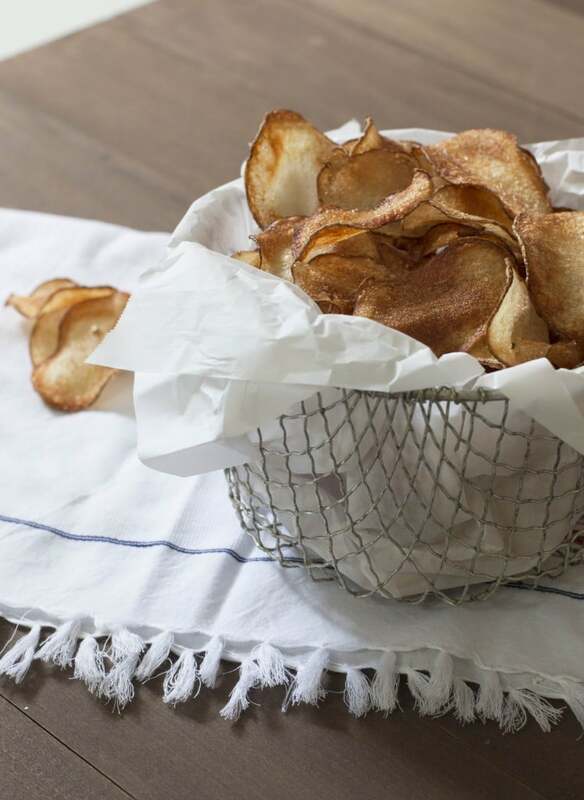 I’ve always wanted to make potato chips and these look perfect!! I will forever brine my chips now, it really makes the chips that much better! Salty, crunchy perfection! These look amazing & have me wishing I could reach through the screen!